Aquatic Training Bells are an upper body blaster. Vary your resistance levels from high speed to maximum muscle building and everything in-between. Offering a complete range of tempo levels for clients in therapy to elite level sports development. 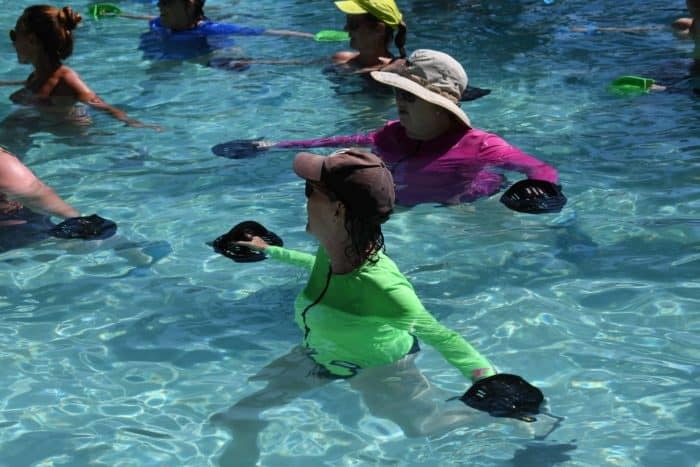 Hand held omni-directional resistance training with these modern aquatic handbells. Most effective for upper body and core specific training. High intensity, low impact training for all fitness levels. Most effective when used in conjunction with Fins. Aqualogix Green Bells (Low Resistance – Moderate to Fast Tempo) – The green Bells have the least resistance, but are also the high speed Bells. They allow the user to do fast upper body water workouts moving the blades through the water at rapid speed to ignite the small fast twitch muscles for explosive power and speed. 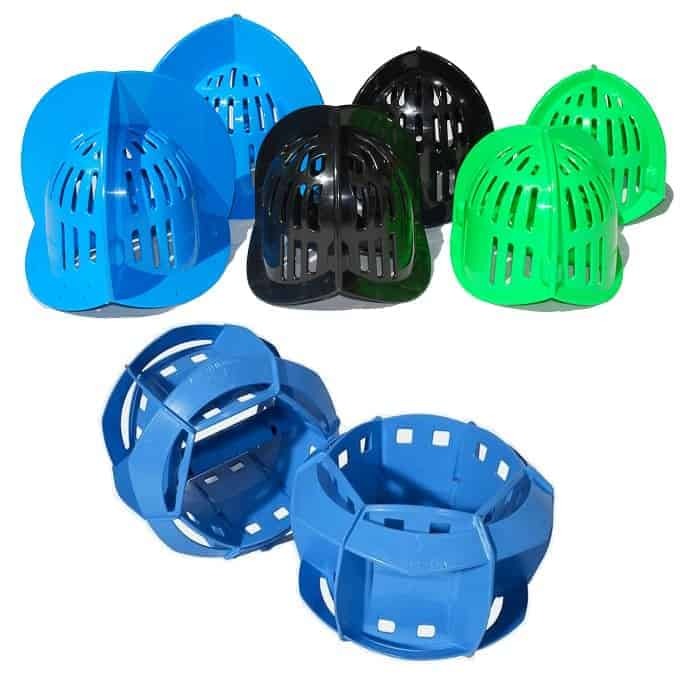 They are also often the preferred choice for the de-conditioned or rehabilitation. 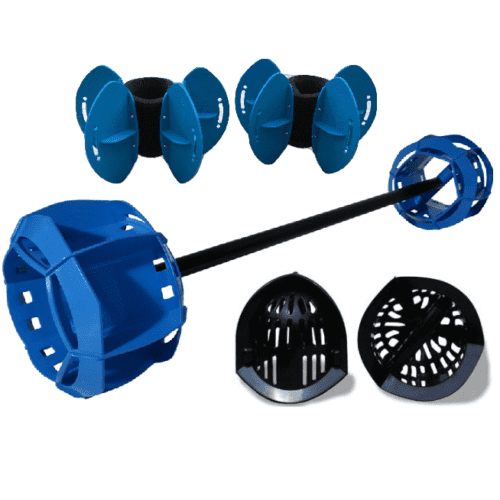 Aqualogix Black Bells (Medium Resistance – Slow to Fast Tempo) – The black Bells provide an initial starting point for warming up and stretching, but also are the perfect size for most (if not all) training movements. These are perfect for a quick tempo set, aquatic fitness workouts, cardio, core, strengthening and injury recovery training. 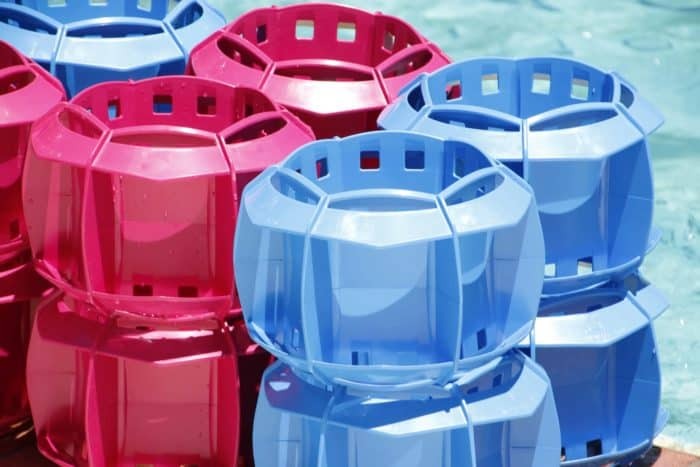 Smaller in size than the Aquastrength Bells, these allow for close crossover and like all the Aqualogix bells have a high impact resistance. 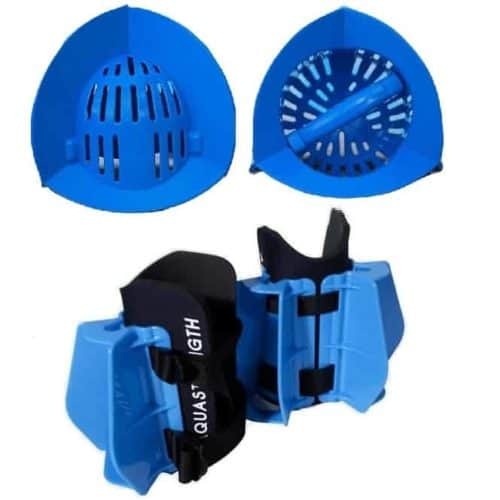 Aquastrength Blue/Pink Bells (Medium Resistance – Slow to Fast Tempo) – With resistance fitting between Aqualogix black and blue Bells, the Aquastrength bells also provide an initial starting point for warming up and stretching, but also are a great size for most training movements. These are perfect for a quick tempo set, aquatic fitness workouts, cardio, core, strengthening and injury recovery training. Open handle design for easy hand to hand passing. Aqualogix Blue Bells (Maximum Resistance – Slow to Moderate Tempo) – The blue Bells are used to develop power and strength. The maximum resistance Bells provide dynamic upper body strength and power training in a water workout. They are often used by more experienced users whose goals are to develop dynamic strength and endurance.